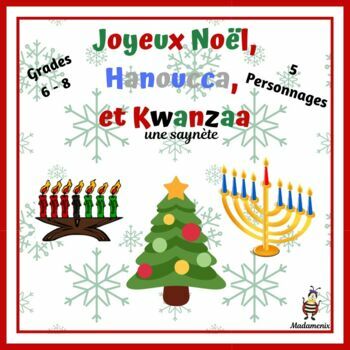 This is a holiday skit for beginning to intermediate level speakers in French. (Gr 6-8) It addresses diverse holiday traditions at Christmas time. (Hanukah and Kwanzaa) There are 4 characters, 2 pages plus a “lexique”.